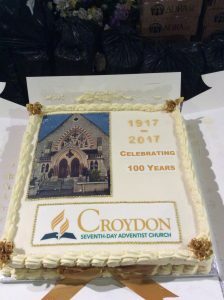 October 2017 marked the 100th anniversary of Croydon SDA Church’s existence with a number of celebratory activities and events. 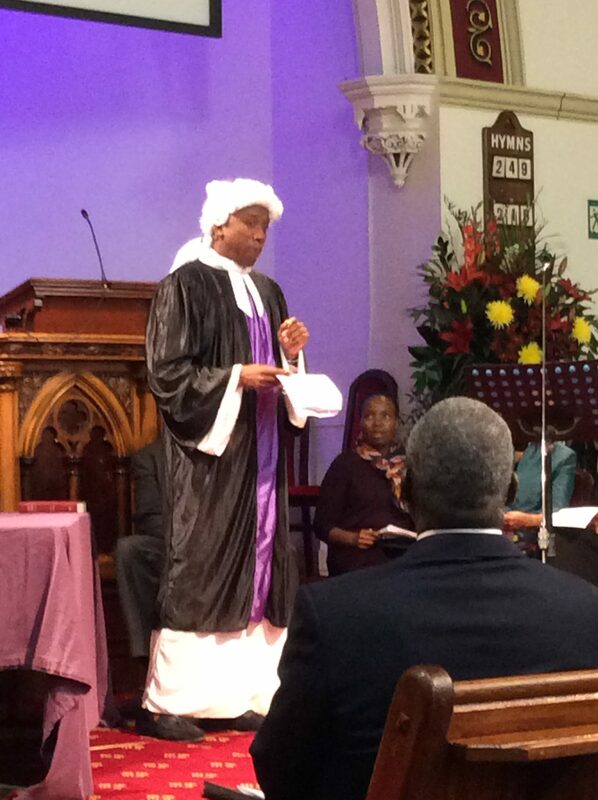 On 21 October, the final day of celebrations, the church was treated to the play, ‘A Very Strange Court Case’ which focused on how the church has changed throughout the ages. 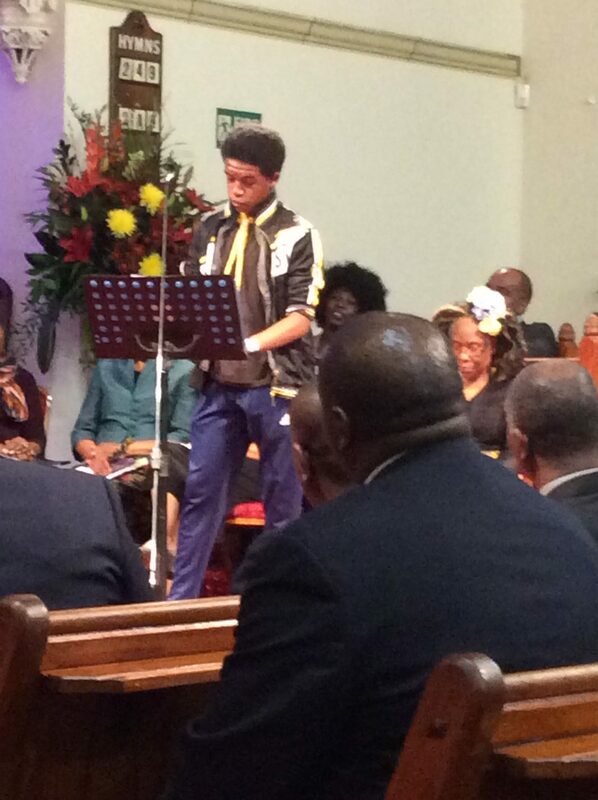 One representative from each decade of Croydon SDA Church’s existence shared the accomplishments of that period. 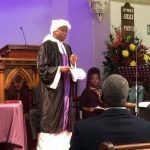 Each character acted as a plaintiff and a defendant, arguing the failures of the different decades and how they did not live up to the expectations of the previous generations. As the play progressed a judge kept everyone in check, keeping the peace. 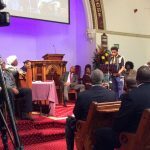 During the 1940s the church accomplished taking the Gospel to the Empire Theatre in Croydon, starting with an audience of 600 and rising to between 900 and 1,000 on certain evenings. A great deal of time was spent welcoming new ministers during the 1950s. The 1960s saw a lot of West Indians joining the Church, creating a more diverse congregation. The young people also got organised and established the Missionary Volunteers, which is now called Adventist Youth Society (AYS). During the 1970s a strong emphasis was put on lay Bible training. 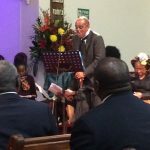 Pastor Patrick Boyle became Croydon’s pastor and was instrumental in purchasing the church on Selhurst Road where we worship today. In the 1980s Croydon Church were consistent winners in the inter-church sports day and Big 6 sports competitions. The church formed a real family bond during this time, and had projects that helped long term unemployed people get back to work. During the 1990s we ran elderly community care facilities in the youth hall every Wednesday and a small group of Adventists would go out and sell magazines. In the 2000s an extension to our Church known as the yellow room was fitted. Finally in the 2010s (which I represent) we had a 3ABN campaign, we set up a community kitchen, which runs every Tuesday and we are celebrating 100th year of existence and the 500th anniversary of the Reformation. 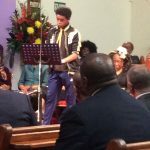 After the representatives from the 1940s to the 2010s had spoken about their accomplishments a small child representing the future ran up onto the stage and gave the judge a note which stated the important needs of the church’s children. This included a painting of Jesus with all the children of the church in the yellow room, asking the adults to refrain from having conversations when children’s programs are going in in the youth hall, as well as a child conducting research about our church and finding an article written by Pastor Hugo Kennedy in 1986. As the play comes to an end, the Judge reveals himself to be Jesus and states, “I wanted to do so much more through you. If only you had let me”. The same small child then runs up on the stage to join Jesus, and says, “Your future is here! Assuredly, I say to you, unless you become as little children, you by no means will enter the kingdom of heaven.” Jesus responds, “Whosoever humbles himself as this child does is the greatest in heaven”. 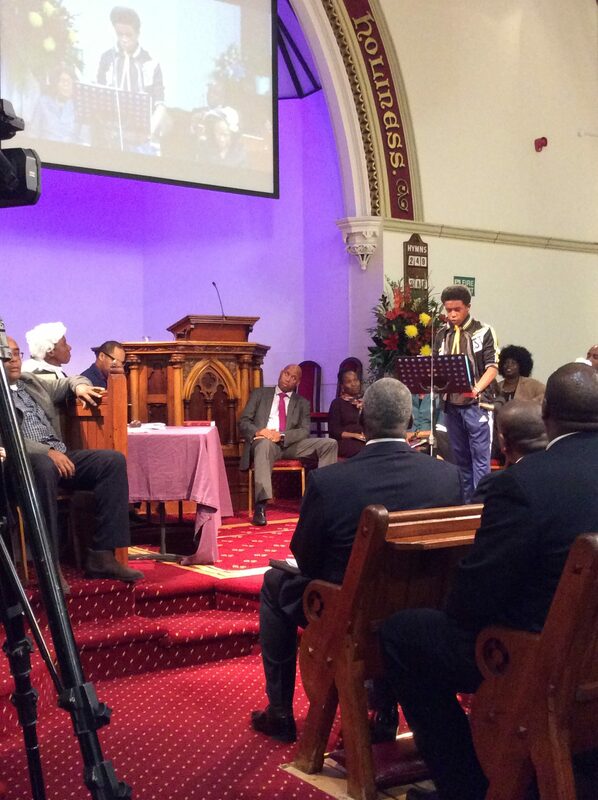 In the closing scene, he then asks the church, “What are you going to do about this note this child has sent you? What about the children?” This leaves us with food for thought. How are we going to make sure future generations remember that Christ is our Salvation as the world is so complicated and divided these days? What steps will we take to ensure that the word of God continues to be preached all over the world until His return? 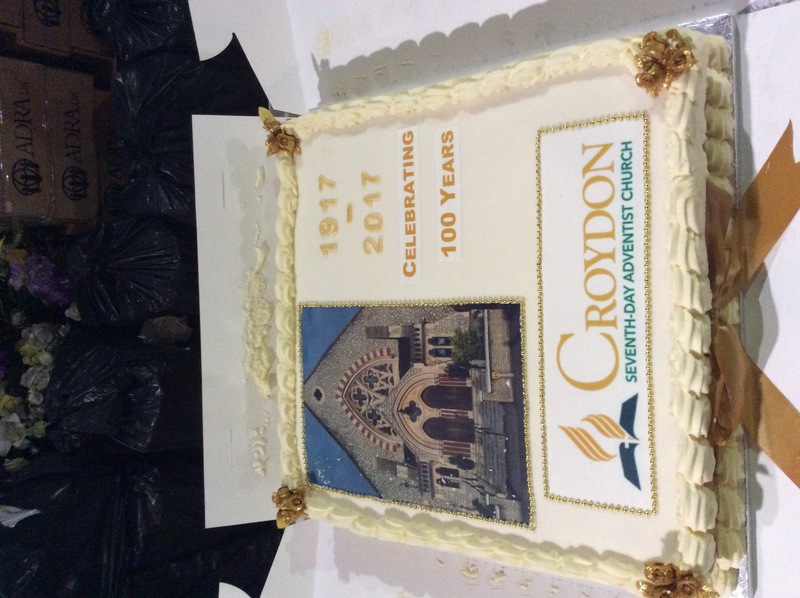 This month at Croydon we also celebrated the 500th anniversary of the Protestant Reformation. It is usually considered that the Reformation began with the publication of the Ninety -five Theses which Martin Luther, one of the most famous Protestant reformers in history, nailed onto the doors of Wittenberg Church, Germany. 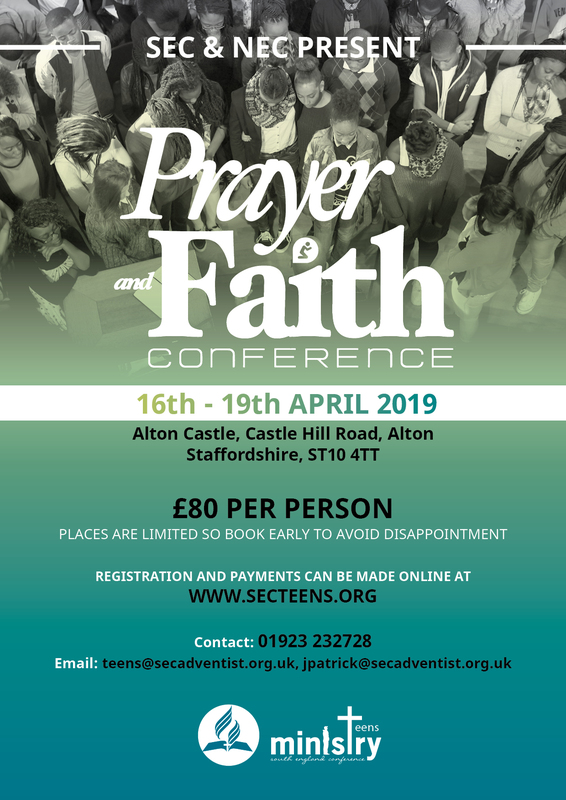 Within these Theses, Luther had found that in Biblical scripture that the repentance required by Christ in order for the sins of man to be forgiven involves inner spiritual repentance rather than mere sacramental confession, and that we are saved by faith alone and that Jesus is our salvation.